The popular app Louvre HD is free today and only for a limited period of time. Louvre HD allows you to virtually tour the wonderful galleries in the Louvre museum and discover the masterpieces of the world art. 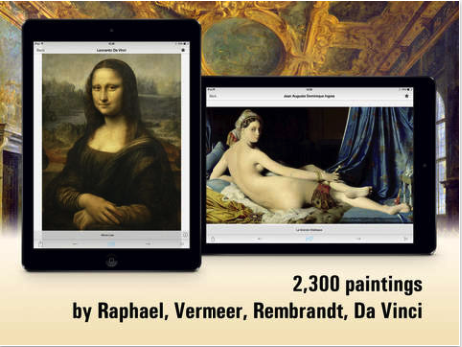 You will be able to access and view collections of famous paintings including: "Mona Lisa" by Leonardo da Vinci; “The Coronation of Napoleon I” by Jacques-Louis David; “Marriage in Cana" by Veronese; and “The Lacemaker" by Vermeer.